Kitec plumbing is a type of pipe that's vulnerable to premature failure which may damage a home and result in costly repairs. It was commonly used in homes built between 1995 and 2007, and otherwise for general plumbing repairs or renovations. The Kitec system was sold under a number of different brand names and in a variety of colours. In 2005, it was recalled because the pipes and fittings were found to have a tendency to corrode quickly and can fail entirely, which can lead to flooding. In 2011, a class action lawsuit was launched against IPEX Inc., the manufacturer of Kitec. The repair of Kitec can cost a few thousand dollars, up to tens of thousands of dollars. Sellers and their agents have an obligation to disclose this material fact when selling. 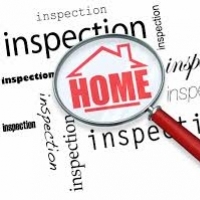 If you are a buyer, you should do your due diligence and hire a professional home inspector. Keep in mind that many condo buildings may have Kitec plumbing, and because home inspections are non-invasive, refer to your agent or lawyer for further advice.